I have a tendency to stick with what I’m good at: cooking the same recipes, rocking the same half-dozen outfits year-round, re-watching the tv shows I already know by heart… It’s not a bad thing, but I’ve noticed that I definitely don’t step out of my comfort zone as often as I probably should. This also applies to my crochet projects! If you’ve taken a look at my pattern library, you’ve probably noticed that the bulk of my patterns are for amigurumi and graphghans. No matter how many times I try to branch out, I always come back to those types of patterns. Right on cue, I recently got a proposal for a guest post from Helen Spencer, writer and crafter behind the Hello Sewing website. She offered to write up a post for us about some different methods of hand-sewing that can be used for joining crocheted and/or knitted pieces together. Talk about good timing, right? Back before computers and internet found their way into most households, people usually used to have hobbies that were both interesting and useful. Everyone likes to keep their mind occupied and if you happen to create something pretty and unique while doing so, in my book you’ve hit the jackpot. And what kind of activity, besides sewing of course, combines fun, challenge, creativity and usefulness into one? I’ll tell you what activity does that. Sewing’s baby brother and sister, knitting and crocheting. My grandmother was a professional knitter and used to make knitted sweaters, vests, hats and socks in a flash. She would sit on the couch, turn on the TV and without even looking at her hands, make socks in about a half an hour, I kid you not. Seeing her knit was like seeing an eagle in the sky, she was made for it. Naturally, I wanted to become like her in that aspect so I asked her to teach me about knitting as well as crocheting. Of course, she loved the idea and she shared her knowledge to me with joy. After that, I started helping her from time to time by joining the knitted items. I knew that fusing those two would turn out amazing but honestly, it ended up even better than I expected. I guess that art and art put together make an even better kind of art. Like music and wine! Jokes aside, I’m here today to share what I know and to show you how to mix sewing and crocheting into one by joining crocheted pieces by sewing. While many crocheters are wary of sewing, seams can be an important part of your project’s construction. They provide structure and help it to keep its shape, so it is important to know how to do the basic hand sewing stitches. Having said that, here are my top favorite techniques for doing just that. This technique or stitch type is used for areas that shouldn’t be bulky or where you have curved seams. This is a strong stitch so you don’t need to worry about it falling apart. Now let’s see how you can make one. With this stitch, right sides are together and you first insert the needle two stitches ahead after which you return it one stitch back. Put simply, you fashion an elastic stitch by working your seaming yarn in circular motion. Don’t forget to pull on the thread every now and then so that you straighten out all uneven sections and bulks. Also known as the mattress stitch, this technique is used when you want to connect two vertical stockinette knits. However, it can also be used for connecting garter stitches to other garter stitches, vertical stitches to horizontal stitches and so on and so forth. Time for the creation process explanation. This one is a bit different when compared to the first two because you don’t go from right to left nor down to up. You go left to right. This stitch allows a lot of stretching but it also prevents fraying or similar damage from occurring. Overlap the edges of the two pieces you’ll be joining. Then run your thread through two bars of knit on the upper piece. Then move a bit to the right and run the thread through two bars on the lower piece. After that go right once and run the thread through two bars on the upper piece again. Continue in this zig zag motion until you finish, that’s it. I’m not going to ask you if you like these sewing techniques. I’m not going to repeat why you need to learn to sew. But I’ll ask which of the techniques will you use first? Many thanks to Helen for her handy guest post! If you’d like to learn more, I highly encourage you to take a look at her website. She’s got lots of great tutorials, tips and projects posted there that might just tickle your fancy! You can also follow Helen and Hello Sewing on Facebook, Pinterest and Twitter. Tell me: which one of these techniques do you want to try most? 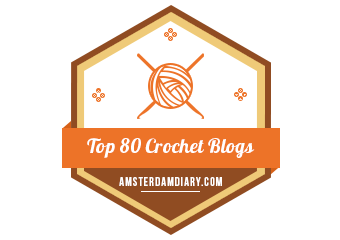 Personally, I’m very intrigued by the back stitch method! I had a wonderful time collaborating with Helen, and I want to work with you too! 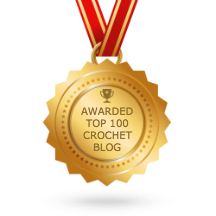 If you are interested in being a guest contributor here at Two Hearts Crochet, or if you’d like me to put together a guest post for your blog, please contact me. Let’s make something nerdy together!